Classic Industries® stocks a full line of Hedman Hedders™. These headers are designed to replace the heavy and restrictive factory manifolds with tubular steel manifolds. Headers are not only lighter, but will also increase your performance. 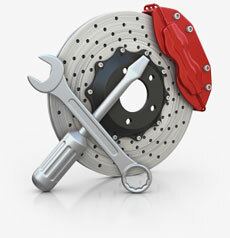 Get more performance without breaking the bank and do it, with a name you can trust in the header business "Hedman". Hedman Hedders™ are manufactured using 18 gauge mandrel bent primary tubes, have 1/4" flanges and are ready to bolt on. Includes collector and header to head gaskets, collectors, and bolts. Important: We offer these uncoated headers for vehicle owners who wish to apply their own type or color of coating. The Black paint applied to them at the factory is merely to protect the bare metal from corrosion while in inventory and during shipping. This coatingis not a high temperature paint and will burn off after only a few minutes of use on a warmed engine. Although an uncoated header can be used, we recommend the use of a thermal coating, or high temp paint (sold separately) to protect them from the elements,a nd prolong their life. Note: Some modifications may be required for correct installation. 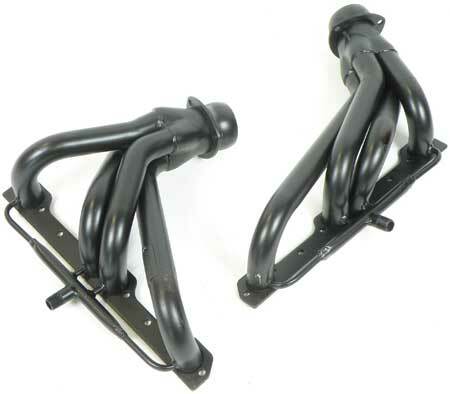 Headers are for use with dual exhaust only (not for use with single exhaust). Shipped oversize. Be sure to read the Application Note s and Emission Notes for your vehicle to ensure correct application.